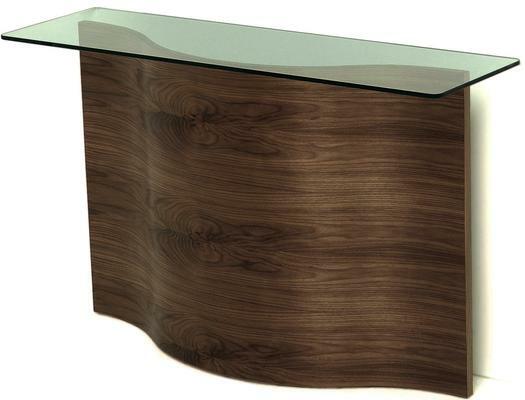 This Tom Schneider Wave Console creatively combines a bold and sleek aesthetic with function. The console features a slim base made from gorgeous wood. Unlike traditional geometric bases, this one features a wave-like design that brings in gentle curves.